Navarra export catalogue - Precomar, S.L. PRECOMAR, S.L., is a young, dynamic family business set up in 1987 in the heart of Navarre (northern Spain), an area of great tradition in the vegetable processing industry. 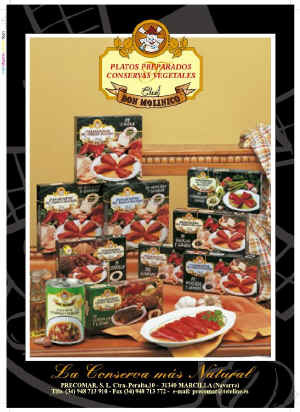 Then companys first products were high-quality Pre-Cooked Dishes based on vegetables. We always works with the best raw materials and combine old-fashioned preparation methods with the latest equipment, enabling the homologation of our factory according to European Union regulations in 1995. 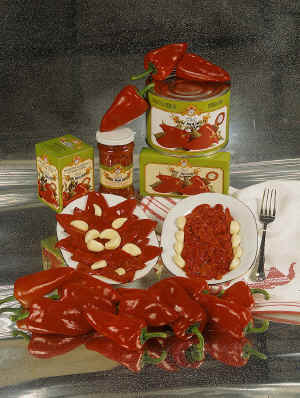 In 1991 we added new products to our range and we currently offer an appealing selection, among them: white Asparagus, Green Asparagus and Red Piquillo Peppers. Our Catalogue shows the product families available.